Pancreatic cancer symptoms depend on where the cancer is located. In most cases, the cancer starts off in tissues near the head of pancreas. Pancreatic cancer, unfortunately, has a poor prognosis even when it is diagnosed early. The cancer has a tendency to spread rapidly and invade nearby tissues. The cancer is very rarely detected in the early stages and this is the principle reason for the high death rate. In the majority of cases, signs and symptoms do not appear until the pancreatic cancer is advanced. Less than 5% of people with pancreatic cancer are alive at 5 years. In the USA, there are close to 38,000 cases of pancreatic cancer each year. In males the incidence of the cancer has been dropping but in women the incidence has been increasing- this is believed to be due to changing rates of smoking in females. Most people with pancreatic cancer develop diabetes. In many cases diabetes precedes the cancer by at least 12 months. The cause of pancreatic cancer is not known but believed to be due to mutations in certain cells which start to grow in an uncontrolled fashion. The diagnosis of pancreatic cancer is not always easy because many other conditions can mimic similar symptoms. Most people under go several radiological tests including ERCP, CT scan and ultrasound. Some people even need to undergo a biopsy procedure to determine the type of cancer. this is followed by pancreatic cancer stage to determine resectability. If no treatment is administered, pancreatic cancer is fatal. Many individuals develop severe pain, bowel obstruction, weight loss, blood clots and eventually death. Pancreatic cancer treatment depends on its stage. The lower stage cancers can be removed with surgery. Pancreatic surgery is a formidable procedure and one should seek a surgeon who specializes in this field. 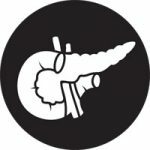 The majority of general surgeons do not have skills or experience that large centers have to operate on pancreatic cancer. Even with surgery, pancreatic cancer life expectancy is short with the majority of patients dying within 2 years. The best predictors of long term survival depend on the pancreatic cancer stage. Individuals with a small cancer and no spread to local lymph nodes have the best chance for long life after surgery. Cancer which is not resectable can be radiated or one may be administered potent chemotherapeutic drugs. There are numerous clinical trials to determine the effects of novel treatment of pancreatic cancer; one can speak to the surgeon about enrollment into these trails. Since there is no cure for this dreadful cancer, the only way to avoid the cancer is by reducing the risk. This means discontinuing smoking, maintaining a healthy weight, exercise, and eating a diet rich in vegetable and fruit. Individuals who develop pancreatic cancer symptoms should know that there are medications which can help relieve the pain and nausea.